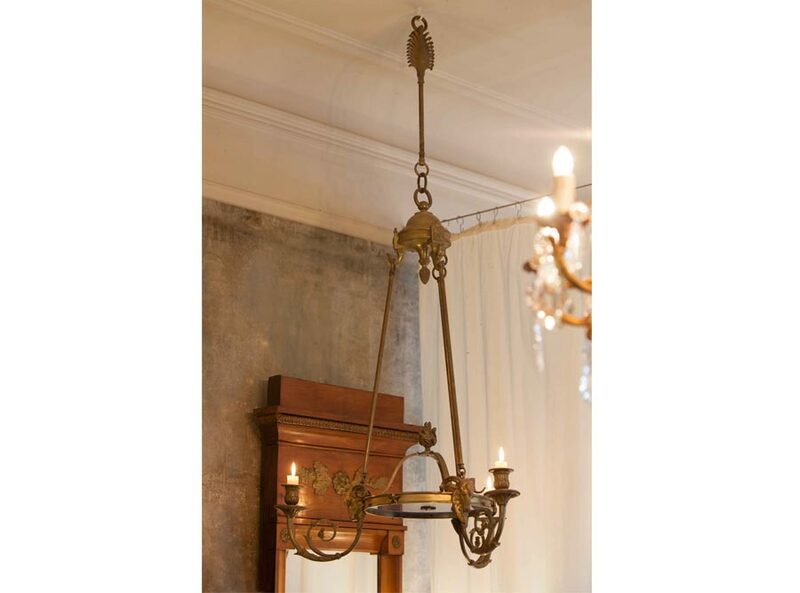 Product information "French Bronze Empire Chandelier Signed"
This beautiful French bronze Empire chandelier is decorated by three ornate rams and has three arms for candles. 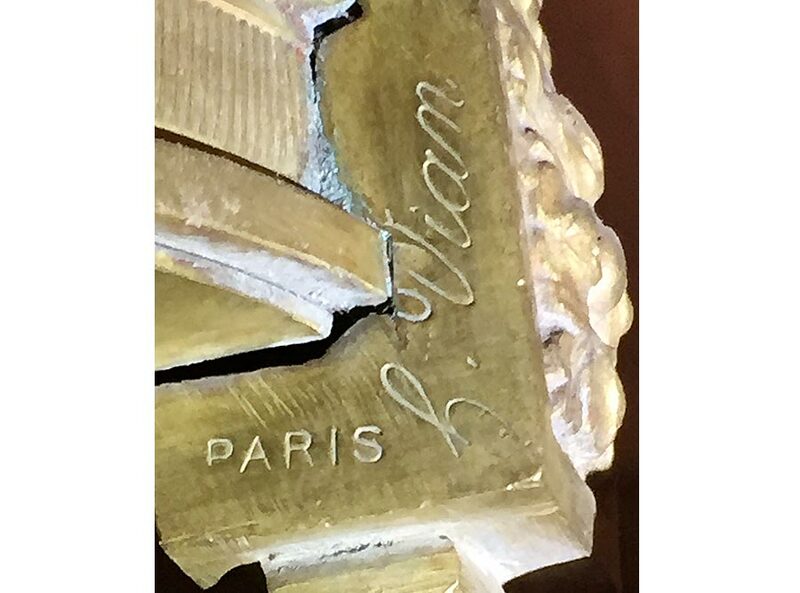 There is also a stamp and signature which reads Henri Vian and Paris. Henry Vian (1860-1905) was a celebrated Parisian bronzier specializing in the production of bronzes in the eighteenth century style and interior ornamentations of great quality. 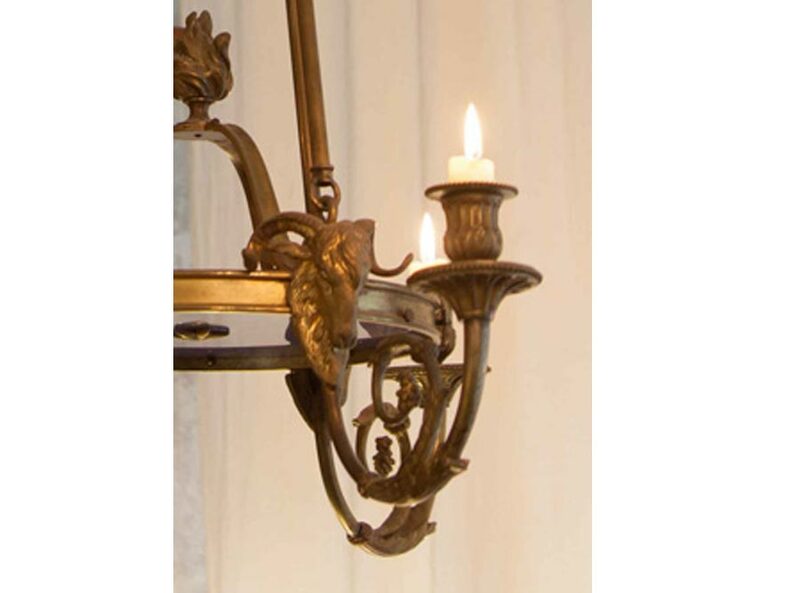 His output was concerned principally with the production of light-fittings but also included other bronze items. 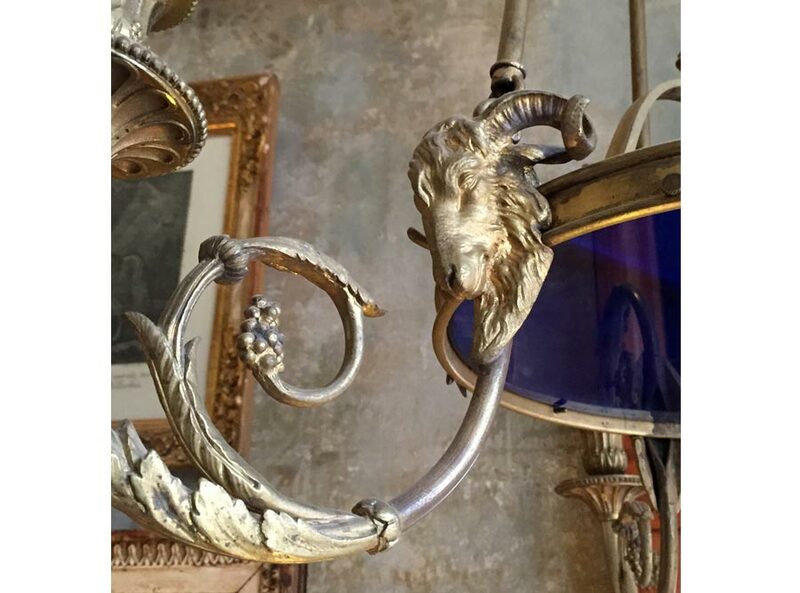 Such was the quality of his work that his casting and gilding can often be mistaken for earlier eighteenth century works of art. 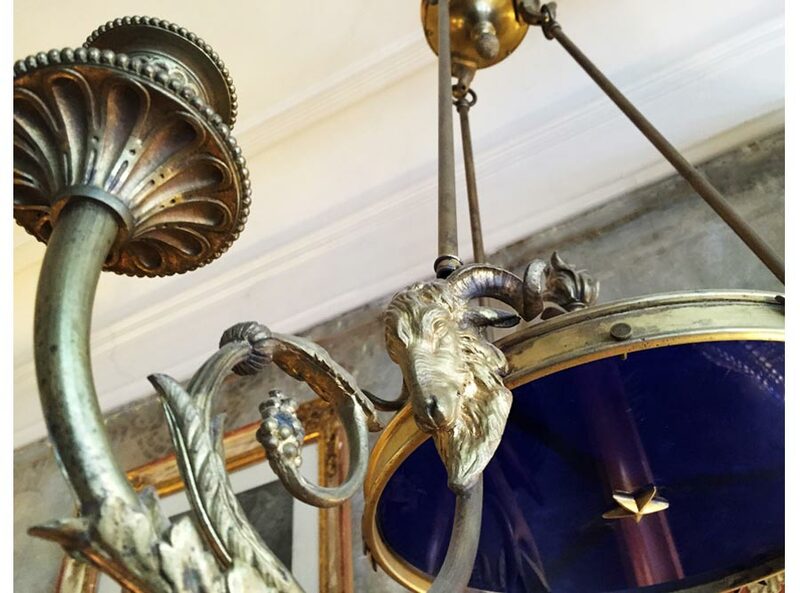 A short chain leads to its original elegant canopy and it is finished off with a glorious blue glass plate. 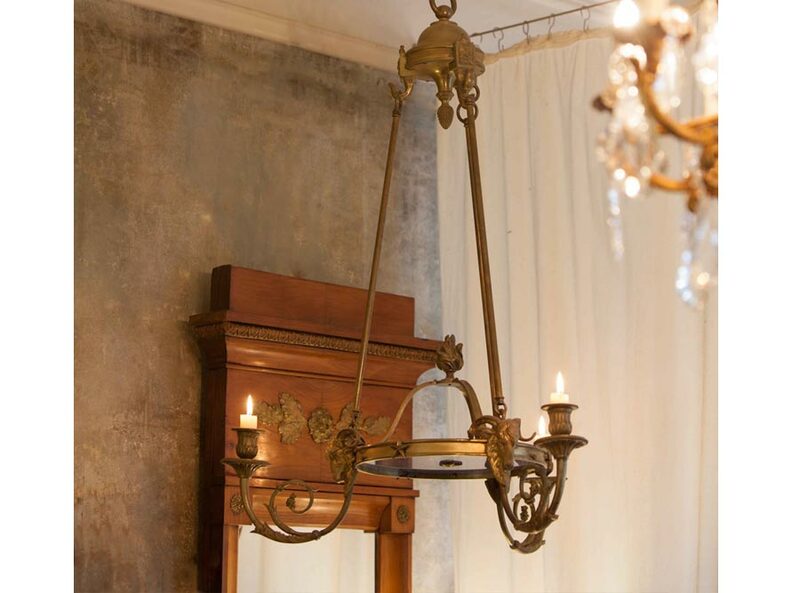 It will light up your room with glamour and elegance for years to come. Related links to "French Bronze Empire Chandelier Signed"
Customer evaluation for "French Bronze Empire Chandelier Signed"